1. Shawn and I have a lot of interesting words for things. If people were listening in on us, they would be quite confused by some of our word choices. For instances, we call remotes “scrims”. The evolution went from remote > scrimote > scrim. Please tell me other couples do this. Our biggest one is eggs. Scrambled eggs are “scrambies” and eggs over easy are “dippies”. 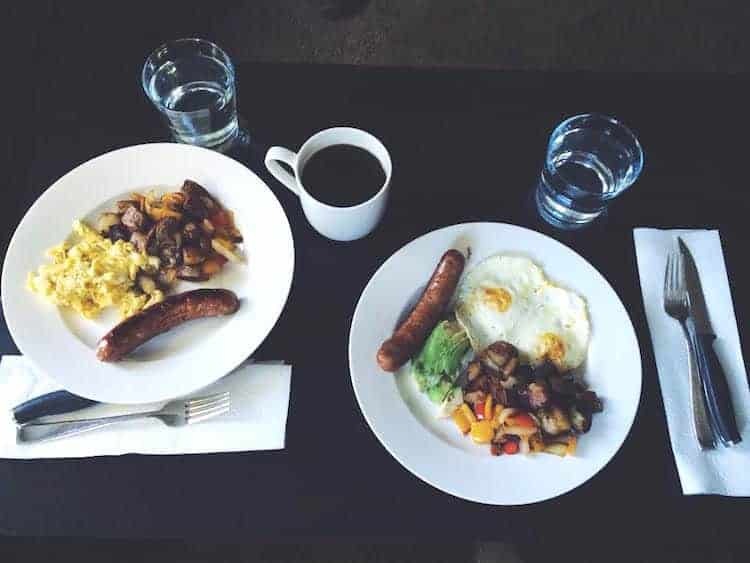 Most weekend mornings you can hear me asking, “How do you want your eggs? Dippies or scrambies.” Shawn almost always answers scrambies, and I go with dippies. 2. Shawn and I started recording this funny clip show called TruTV Top Funniest. It’s like America’s Funniest Videos, but without the annoying breaks in between clips where the host talks. As we watch it, Shawn will say, “I need to start pranking you more!” Well, he got me this weekend. The ole’ “tape on the door” trick got me good. Now I need to think of a way to get him back. Any ideas? 3. 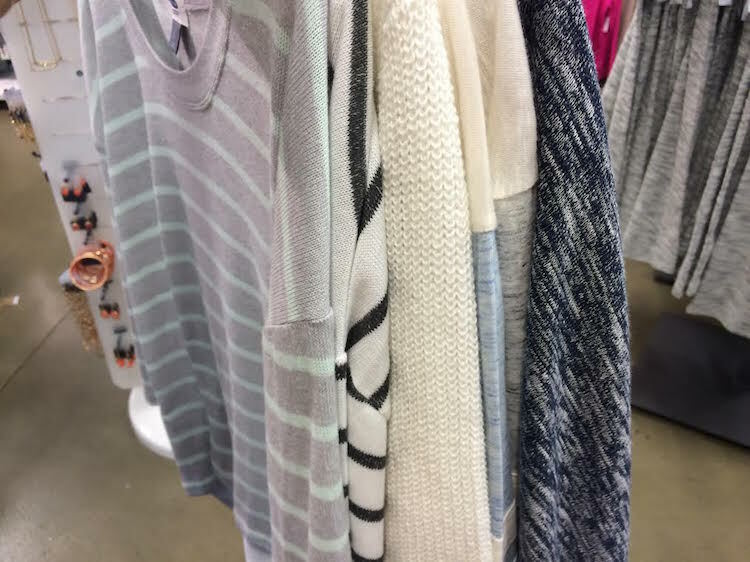 I went shopping this week, and as I was standing in line to buy my finds, I noticed I have a very clear color preference when it comes to clothes lately. Is it obvious? I’m alllll about neutrals. Also! I found a new favorite pair of jeans! These boyfriend jeans by Kut From The Kloth are amazing! They have them at Nordstrom. Highly recommend. 4. I’ve been having SO much fun doing some photography sessions for our video/photo business Acorn Films! 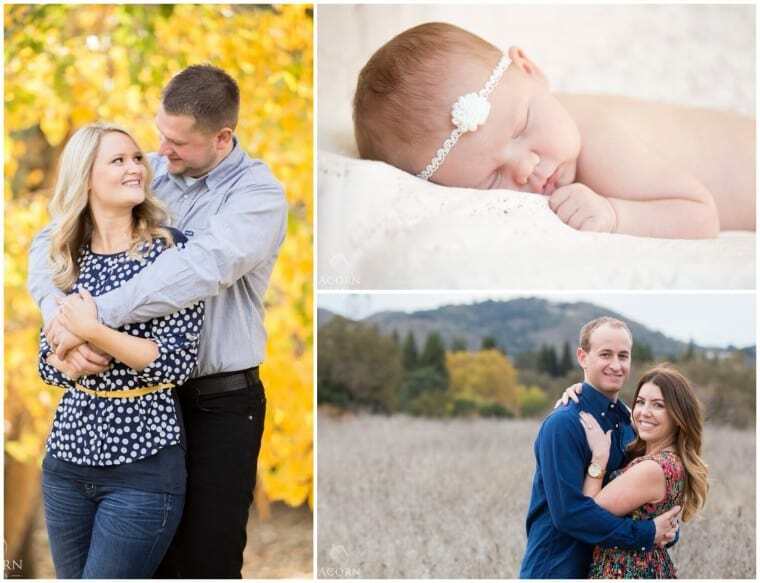 I did a session for my sister and her husband, another session for some friends, and got to do my first newborn session with little baby Arlowe! Fun change of pace from taking pictures of food. 5. Speaking of Acorn Films, Shawn has been an editing machine! He has completed 3 wedding videos in the past 2 weeks. Only 2 weddings left, and then we’re officially done with all our 2014 weddings. What a great year we had. This one is one of my favorites from the whole year. So fun capturing love! Haha! That prank video made me giggle out loud. Definitely sounds like something my think-they’re-hilarious big brothers would do to me! LOL. Isn’t that prank too funny? Shawn now thinks he’s a master pranker or something. You are so nice Sarah! I watched that prank video when you posted it earlier and definitely LOLed! :) My husband likes to prank me a lot too, mainly he tries to scare me because he knows I HATE it! And your pictures look absolutely beautiful! You are such a great photographer, Natalie! Have a great weekend! I hate being scared! That’s the only prank I told Shawn he is forbidden to do. Nothing worse than someone sneaking up behind you and scaring you. Thanks for the compliments on my pictures Gayle! You guys are so cute! Sounds like a funny TV show! …also, I LOVE your new clothes!! Those tops look so pretty!! I love pretty neutrals!! :) Very versatile! The fact that you laughed and didn’t get angry when your face hit the tape shows a lot about who you are! Funny lady! Also I am a huge lover of the KUT boyfriend jeans. Just got them in white and love, love, love them (especially after losing 25 pounds…feels like Palm Springs clothes!). Always enjoy your Friday updates…have a wonderful weekend! I think he did the prank at a good time when I was in a good mood, luckily. But it sure was funny. And I’m obsessed with the Kut jeans! Wish I has known about them sooner! And congrats on losing 25 pounds! Way to go Kathi! That video…oh my gosh. I giggle every time I watch it! It says a lot about your relationship that you’re cracking up! I would *LOVE* to wear each and every one of those sweaters. I’m on a neutral kick too. As alwayssss your photography/videography work is so great! Have a great weekend guys! I was laughing and watching the video over and over too, haha! And I am just loving my new sweaters! Wore one over the weekend. It’s all about the neutrals for me right now. And thanks for the compliments on our Acorn Films stuff! Ben and I have some nicknames for random things, and some pretty interesting names for each other….I just can’t share :/ Too embarrassing!! Love that video, you are such a good sport! Glad you have nicknames for weird things too! So curious about your embarrassing nicknames for each other is! Shawn and I call each other “pig” all the time, and I worry that when people hear it they think it’s mean spirited. But it is just a funny term of endearment for each other. Haha! 1. Yes. Branimir and me basically have our own languages. I doubt anyone would understand us talking. Weird much? 3. Neutrals rock. Love all of those clothes and would probably sneak them out of your closet them if I was closer. I live for stripes. 4. I have no words. That newborn is gorgeous. Glad you 2 have your own language for each other too! And I’m going to have to try some of your prank ideas out! Genius! Your prank video had me cracking. up. when I saw it on Instagram. You are a much better sport than I am — I would have wanted to punch Spence for that, haha! (Of course, I’m also crazy and hormonal right now, so maybe Rational Non-Pregnant Me would be okay with it.) Congrats on Shawn almost wrapping up all of last year’s editing . . . what a project! I think Shawn got lucky and caught me when I was in a good mood. Otherwise, I may not have been laughing so much if this was a Monday night after working late. Haha! Have a great Sunday, friend! Thanks Olivia! So fun taking pictures of people instead of food sometimes : ) Hope you had a good weekend friend! I eat scrambled eggs every day for breakfast, but on the weekend it’s all about the dippies! Glad you like neutrals too. Can’t go wrong! And thanks for the compliments on my photography Marcie! Hope you had a good weekend. oh my gosh i love my kut from the kloth jeans!! Your photographs are beautiful, Natalie! Haha, and that video is hilarious. And, I am all about neutrals too, they’re so versatile! You are too nice Tiffany! That little prank video has definitely given me some laughs. LOLLLL that video is HILARIOUS!! Dying. So my cat’s name is Cali but my hubby and I call her Nugz and people are always so confused. It started as The Little Snuggler, which morphed to Snuggler, then Snugs, then Nugz. HAHA! And I’m totally in the neutral camp with you… just a couple weeks ago I texted my friend that literally everything I own is black, white, navy, a shade of gray and/or striped. I’m so predictable! I love that pet name evolution! We do the same thing. So funny. And it’s all about the neutrals! I’m wearing a striped shirt right now, haha!